(Bloomberg) -- As then-Chairman Carlos Ghosn pushed to strengthen Nissan Motor Co.’s ties with partner Renault SA last year, officials at the Japanese company were working behind the scenes with government officials to defend Nissan’s independence, according to emails seen by Bloomberg. The efforts by the Ministry of Economy, Trade and Industry to head off changes in the two-decade alliance show concern was mounting in top echelons of the Japanese government -- months before Ghosn’s arrest on allegations of financial wrongdoing -- that his push to cement a new alliance structure, would boost Renault and its largest shareholder, the French state, at Nissan’s expense. The emails, which were either addressed to Ghosn or copied to him, also show Nissan’s leadership trying to protect the company’s interests in a relationship the Japanese already saw as one-sided. While they sought help in heading off merger plans being floated by the French side, Nissan executives also worked to prevent Japanese officials from over-reacting and inflaming a delicate situation and sought direction from Ghosn. In an April 2018 email recounting a meeting with a French government official, the former head of Nissan’s CEO office, Hari Nada, said the Japanese company would rather keep the existing structure of the alliance than merge with Renault, and that “a re-balancing of the shareholding” to reduce the French company’s 43 percent stake in Nissan was the preferred option. The Japanese government was also wary of France’s insistence on making the 20-year alliance permanent. The next month, a message from another Nissan executive, head of government affairs Hitoshi Kawaguchi, describes a draft memorandum of understanding from the economy ministry aimed at their French counterparts. Nissan’s independence “should be respected,” the draft says. Nissan declined to comment directly on the emails, while reiterating that misconduct by Ghosn and his former aide, Greg Kelly, is “the sole cause of the chain of events.” The company declined to make Nada or Kawaguchi available for comment. Hiroshige Seko, Japan’s economy minister, declined to comment on exchanges it had with France. “It’s obvious that we exchange various opinions and information with the French government,” he said at a press conference Tuesday. A spokesman for the French finance ministry declined to comment, as did a spokeswoman for Renault. The jockeying last year came as uncertainty hung over the partnership Ghosn had dominated for two decades. The 65-year old auto titan, who remains jailed in Japan awaiting trial, was chairman of Nissan at the time and had just signed a new deal to remain chairman and CEO at Renault. 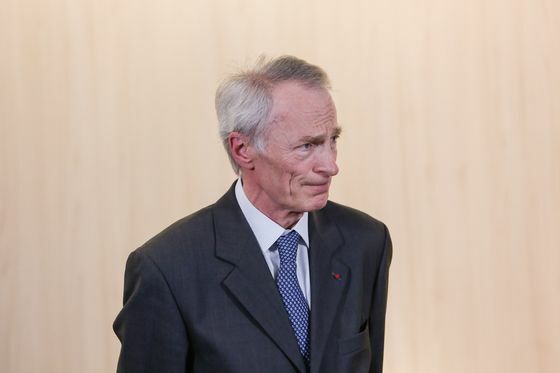 In doing so, he had pledged to honor French demands that he make the three-way alliance that includes Mitsubishi Motors Corp. “irreversible,” while cautioning that Japan would resist a tighter structure if France remained a shareholder. 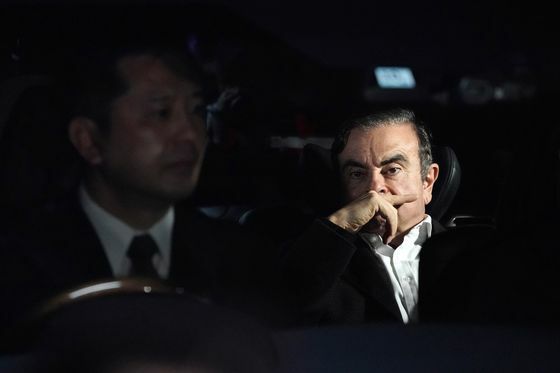 Carole Ghosn, the wife of the former auto titan, called on U.S. President Donald Trump to speak about his detention to Japanese Prime Minister Shinzo Abe when they meet in Washington next week. “Please, President Trump, please ask Abe to resolve this injustice,” she wrote in an opinion piece in the Washington Post. While the content of the documents, first reported by French newspaper Journal du Dimanche, don’t prove Ghosn’s allegations, they do show a Nissan leadership preoccupied with preventing what they saw as a French power grab. Nissan officials, who had been coordinating with the Japanese economy ministry, were also concerned the demands in its memo could harm the discussions that Ghosn was carefully trying to inch toward a solution. Renault’s new chairman, Jean-Dominique Senard, is seeking to move past Japanese fears that Renault wants to dominate the partnership. He said this week the alliance needed to be re-balanced “in spirit” and that the alliance’s cross-shareholding didn’t “reflect the reality” of their relations. Evercore ISI analysts took it a step further, saying in a note that Renault should sell down its stake in Nissan to restore trust.